We live in a land where truth is subjective, individualized, and culturally conditioned. That same troubling thinking had invaded the churches led by Timothy and Titus, so Paul's pastoral letters to them focus on the objective and universal truth revealed in Jesus. 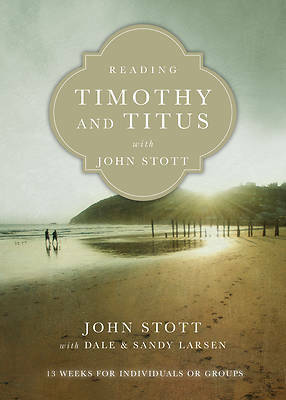 John Stott's teachings fromThe Message of Timothy & Titus and The Message of 2 Timothy are offered here as brief devotional readings suitable for daily use. Designed as a church resource for small groups, this book includes thirteen weekly studies that take you passage by passage through the pastoral letters, allowing readers to enjoy the riches of Stott's writings in a new, easy-to-use format.